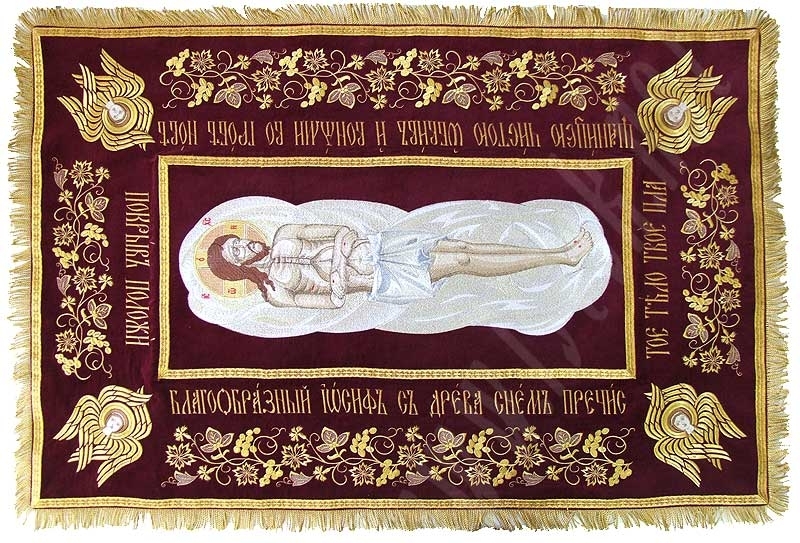 Portrait quality fully embroidered traditional shroud. 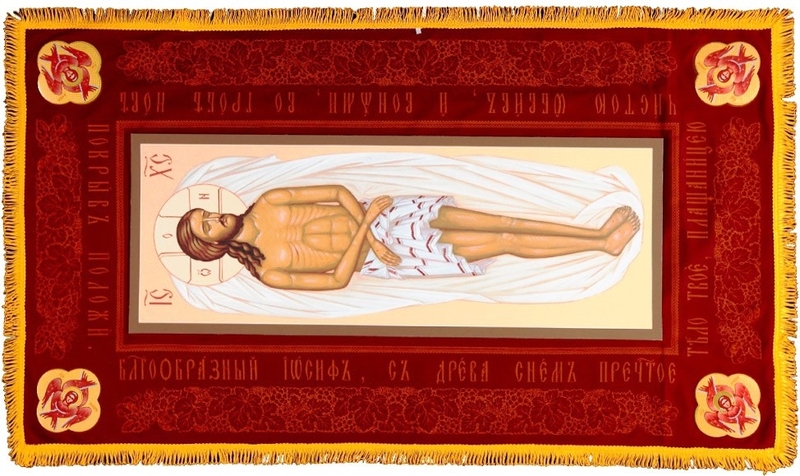 Icons are a very important part of the Christian religion. 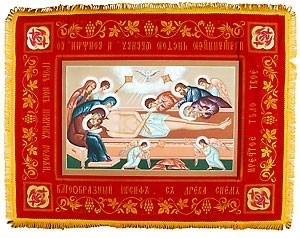 This includes the Epitaphios which is used during the services of the Holy Week. 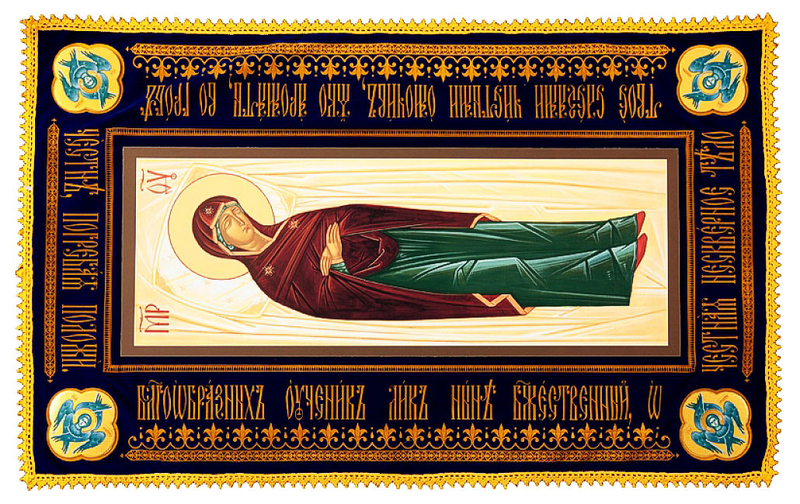 The Shrouds of Christ and Theotokos are venerated in separate rites. 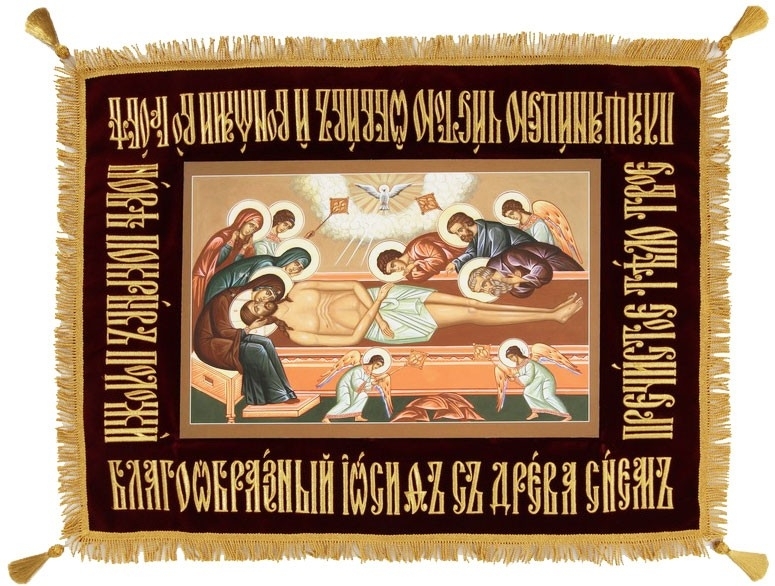 They showcase blessed figures in the horizontal position framed with beautifully patterned embroidery in rich colors. 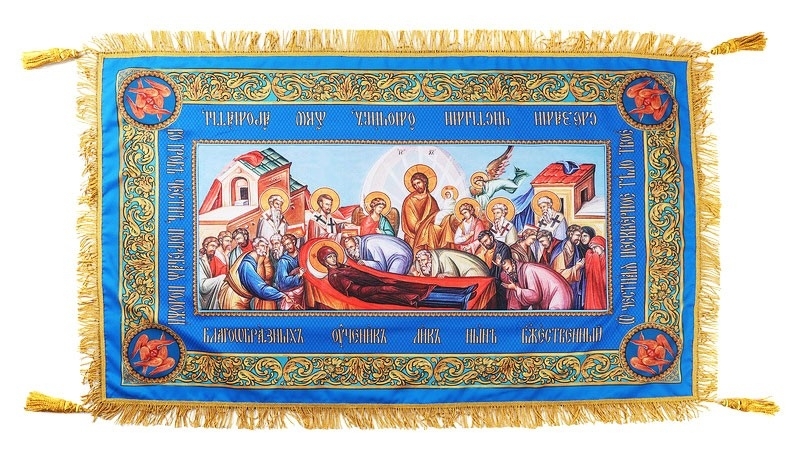 The scenes are created as depicted in the Gospel and are almost always illustrated with paint or embroidered onto cloth. 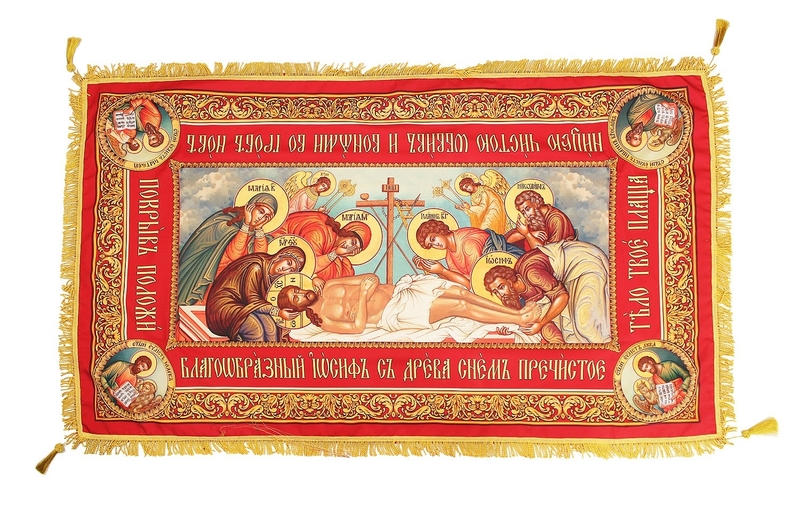 These Epitaphios form a vital part of church rites to mark the death and later resurrection of Christ. 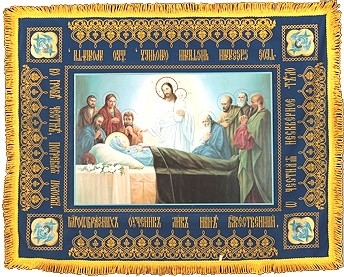 The embroidered traditional Shroud forms the basis of these rites, where they are carried from the altar to the table in the center of the church or various other positions. They are also venerated by the congregation as they seek blessings during certain services. 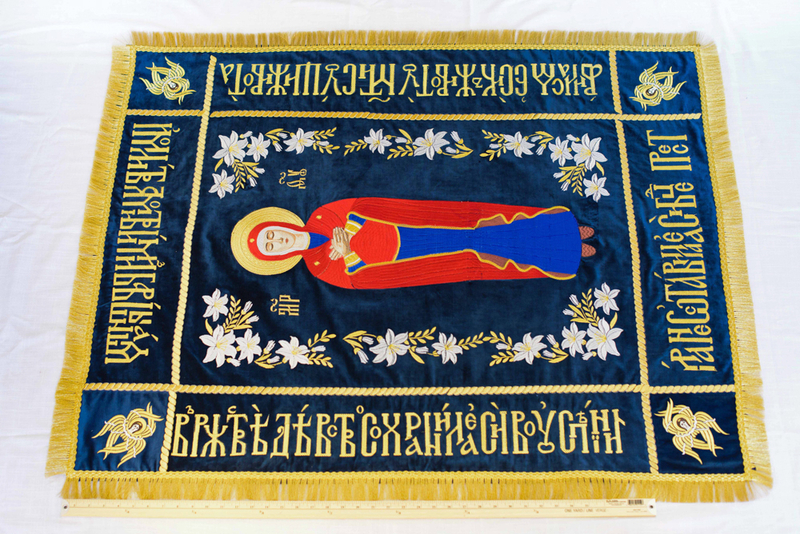 These are important rituals in which the Shrouds take on the central role. 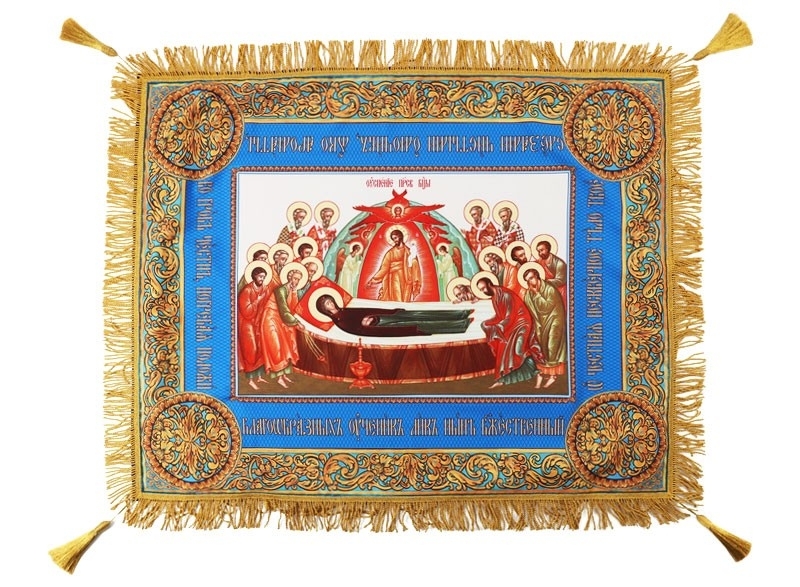 Istok Church Supplies showcase these venerated icons in stunning shrouds, in a brilliant depiction of the Gospel. 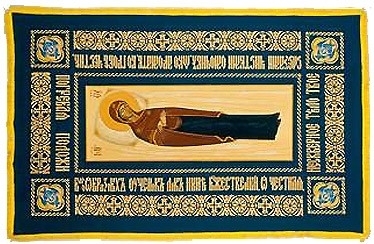 The Shroud of Theotokos as well as that of Christ is created by accomplished craftsmen who understand the importance of the work they are conducting and the significance placed by the Church and its congregation on these icons. 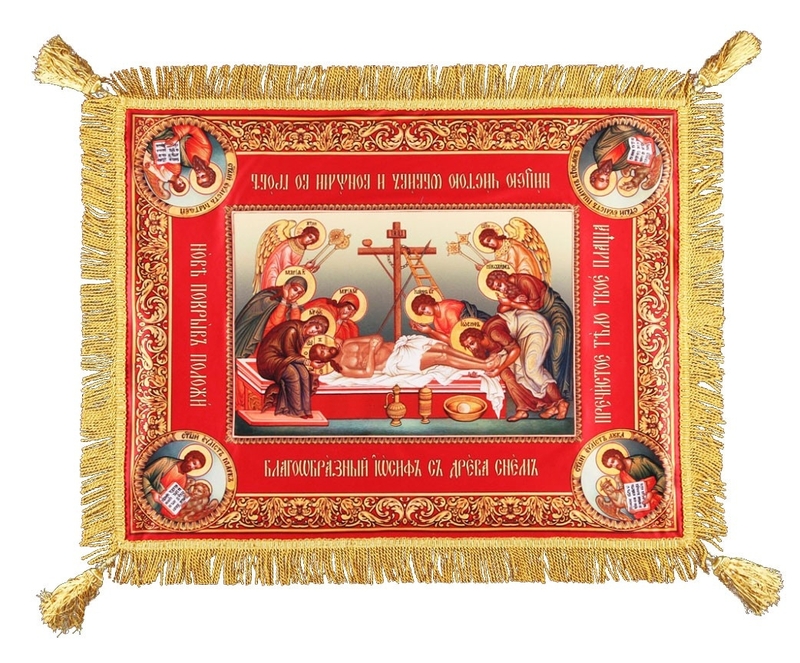 Their brilliant depiction is carried out to the most intricate detail using meticulous threadwork on velvet or wool. Customers can choose the appropriate size for their order and even customize it based on specific needs.